Ships tomorrow if you order in the next 21 hours 50 minutes. 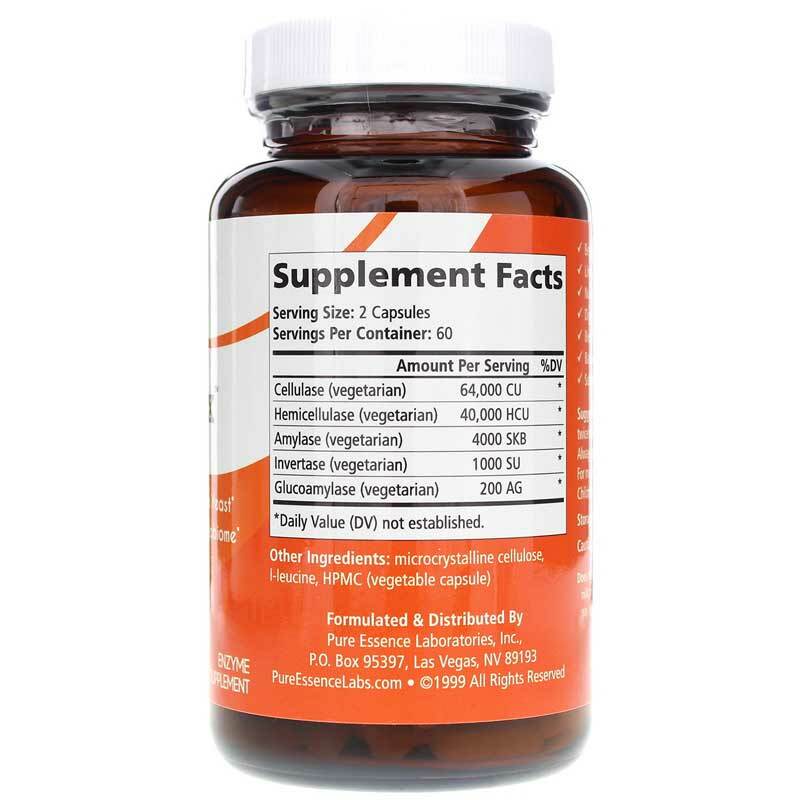 Candex from Pure Essence Labs contains vegetarian enzymes to digest fungal cell walls. Because the cell wall of candida (and all other fungal organisms) is made mostly of fiber, fiber digesting enzymes can break it down. When the cell wall breaks down, the yeast dies, while causing virtually no healing crisis. While candida can develop an immunity to anti-fungal drugs and herbs, it has no defense against the enzymes in Candex. 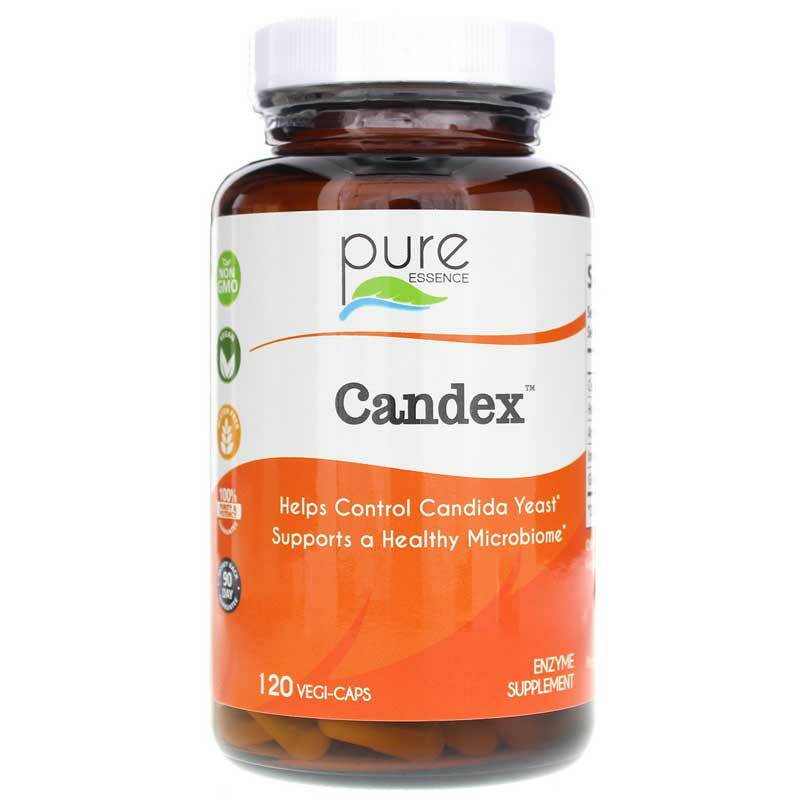 For many years, Candex has provided the most potent blend of plant based, fiber digesting enzymes available for those suffering from candida. It works very quickly, helping with common vaginal infections in just days. Vegetarian Cellulase: Breaks down yeast cells. Vegetarian Hemicellulase: Breaks down yeast cells. Vegetarian Amylase: Helps break down carbohydrates before they can ferment and add to the yeast issue. Vegetarian Glucoamylase: Helps break down large carbohydrates and starches before they can ferment and add to the yeast issue. Vegetarian Invertase: Helps break down table sugar, which can be used as an energy source for yeast. No Protease: Protease may potentially break-down and destroy the friendly flora in the body, which helps fight yeast. In attempts to appear unique or improve upon Candex, some companies have added protease (protein digesting) enzymes to the fiber digesting enzymes in Candex. There are two reasons Pure Essence Labs does not feel this is a wise addition. First, the protease is not necessary to complete the task. Secondly, protease enzymes may compromise the health of probiotics, which are the friendly flora that are essential for good intestinal health. These flora are almost compromised in those who suffer from the overgrowth of Candida. Other Ingredients: microcrystalline cellulose, l-leucine, HPMC (vegetable capsule). Contains NO: artificial colorings or flavorings, sugar, soy, yeast, dairy, gluten, wheat or shellfish and is suitable for vegetarians and vegans. Adults: Day one, one capsule. Day two, one capsule, twice daily. Day three and after, two capsules, twice daily. Always use between meals with at least 8 ounces of water. For maintenance, one capsule at bedtime. 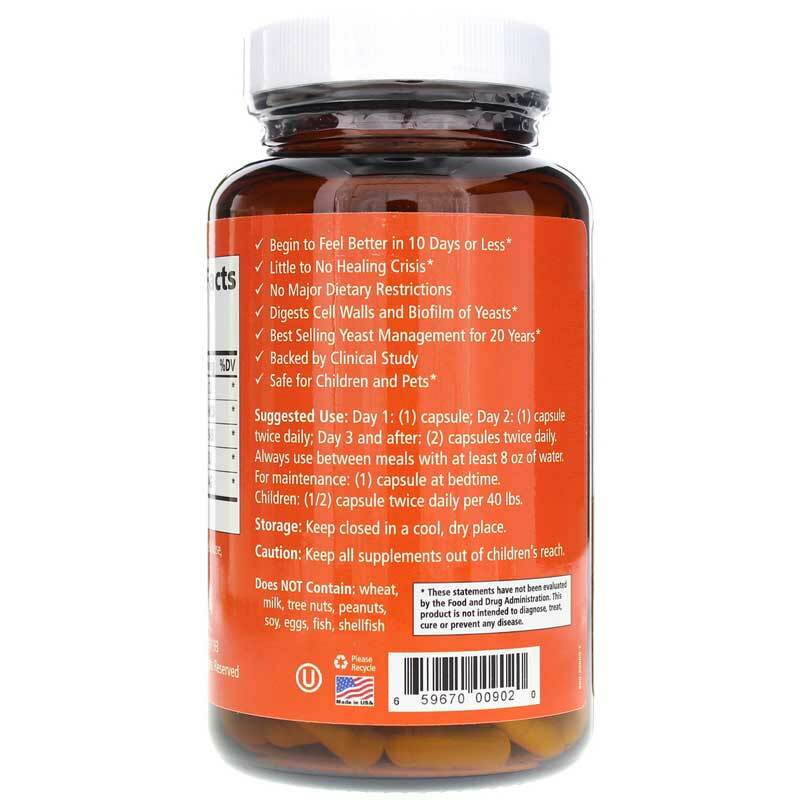 Children: One-half capsule, twice daily per 40 lbs. of body weight. Thank you sooooo much for creating Candex!!!! I have struggled with yeast toxicity for a long time with no answers and no progress with candida cleanses. After trying everything there is to try, I bought the Candex and after just a few days, there is an ENORMOUS difference. I am sooo grateful and so excited to feel good again. I had lost an extreme amount of hair, I had unexplained acne and white bumps on my skin, and I fell asleep at 7:30 every night. I can not believe I went through all of that and all I needed was to find and try Candex. I want to let you know that Candex has been a miracle cure for me and has helped me fight my yeast problem. I have tried everything from prescription meds to over the counter products and nothing has worked for me like Candex! Please do not ever stop making this product! I really like this product. It's gentle on my stomach and works fast. Candex is a good product and effective. Fast shipping! No hassle purchases! !